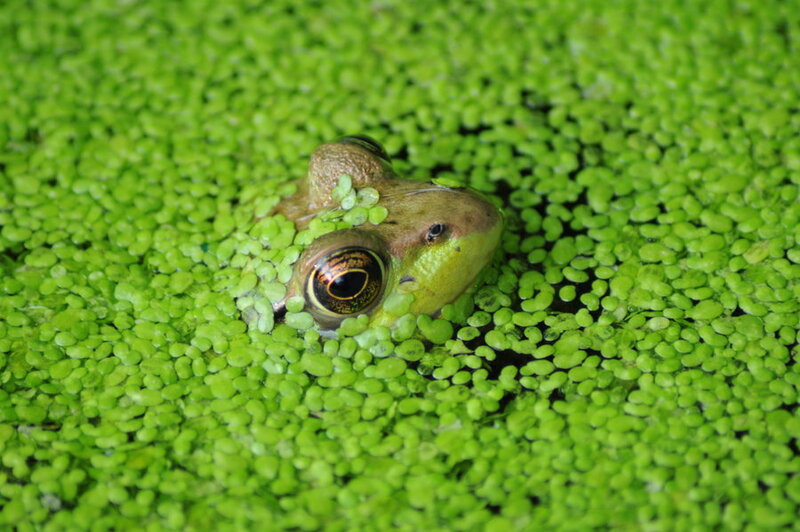 Duckweed is a very small floating green plant of about 1/16 to 1/8 of an inch in length. They usually have 1 to 3 mini leave pads and it has an equally small submerged root. They prefer quiet water surfaces without much water current and they can multiple fast in ideal conditions creating dense colonies. They provide an habitat for very small invertebrates and they also serve as food for many species of ducks (thus the name). In ponds, they look nice floating in small colonies but should be controlled as they are able to cover an entire pond and deplete the water out of oxygen and sunlight. Below is a video on growing and harvesting duckweed.